Recovery is key! In every sport. Without recovery, there is no improvement. This simple principle is called „super-compensation“, but enough theory for now. In the following, I'm going to share my personal experience and thoughts about the unique X-BIONIC Precuperation Recovery Pants with you. Advertisement: This review was created in kind collaboration with X-Bionic. A few days ago, I ran my first ultra race. 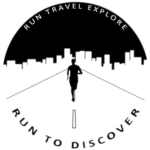 The UTCT, a – in my case – 66km trail race with 3100m of positive elevation. It went fairly well [see race review] and I even managed to finish 6th overall in a time of 7:42:20h. Give the deeper analysis a read, if you’re interested in my race and nutrition strategy. But no matter how well it went, the legs are fatigued after such a strenuous activity! From about 38km into the race, the left hamstring was aching and cramping slightly. I ate a lot of salt to prevent worse cramps. After the finish, as soon as I sat for a while and bend my legs, it hurt a lot when getting up again trying to stretch the leg and walk. Besides that, it was just the usual muscle fatigue after such endeavours. There are various possibilities of recovery – active as well as passive. Soon after the race, I got to enjoy a massage on-site and ate something (probably too little, I always struggle eating proper food after exercising). In the nights following the race, I was wearing the X-BIONIC Precuperation Recovery Pants (Size M). Before the race, I contacted my previous employer in order to buy the Recovery Pants, as I thought it might be a helpful item for after my first ultra. The product was then provided by X-BIONIC as a free marketing sample. I am using the Precuperation Recovery Socks already since a year for recovery purposes, but this was the first time wearing the Precuperation Pants. If you think a 65km trail race is tough, you have never tried putting on the Recovery Pants. Jokes aside, it’s indeed not very easy to put them on, especially if your legs tend to cramp easily due to the previous strain. Obviously, the compression makes it difficult, but without the compression, the pants would completely lose their purpose. Day 1 after the race and my legs didn’t feel much different from right after the race. Neither exceptional better nor worse, fortunately. Very much to my surprise though, there were no signs of DOMS (Delayed onset muscle soreness) at all. Well, it might only come tomorrow, I thought, as the second day is always the worst. Throughout the day, I tried to keep moving and not sit for too long, due to the aforementioned issues with the left hamstrings. Another night in the Recovery Pants passed. This time, I was more experienced with how to put on the pants, so it was easier. The evening before, I accidentally pulled a bit too hard and ripped a tiny hole into the knit. Due to that, I was afraid to pull it up further and thought the pants are a bit too short. The second night, I was more cautious but also pulled it up higher and suddenly the pants fit a lot better. Day 2 after the race. From my past experience, the worst day in terms of DOMS. The day, you shouldn’t book a massage unless you like pain. This time it was different for me. Still no DOMS! The issues with the hamstrings were still present, but the legs felt a lot better in general. Day 3 after the race and another night in the Recovery Pants. After the 1-hour massage in the morning by the experts from Beyond Performance, my legs felt great. The spring was back! Tuesday Trails, my favourite evening trail group, I’m coming! Together with other brave UTCT finishers, I initially arranged to go for a walk together. As nobody showed up and my legs felt great, I chose to run with one of the groups. Even on the ascents, I was feeling fine. My muscles got tired a bit earlier as usual, but nothing to worry about. Day 4 after the race. The previous night I was too lazy to put on the Recovery Pants and my legs felt great running, so why more recovery? Well, the next morning my legs were tired! I’m not saying, that the Recovery Pants would have certainly prevented that, but they might have. So, what’s my final verdict about the pants? Well, I’ll probably never know for sure, whether the Recovery Pants were the decisive factor. However, I believe they played a crucial part in my recovery process together with the other active and passive recovery activities. I believe they played a crucial part in my recovery process. 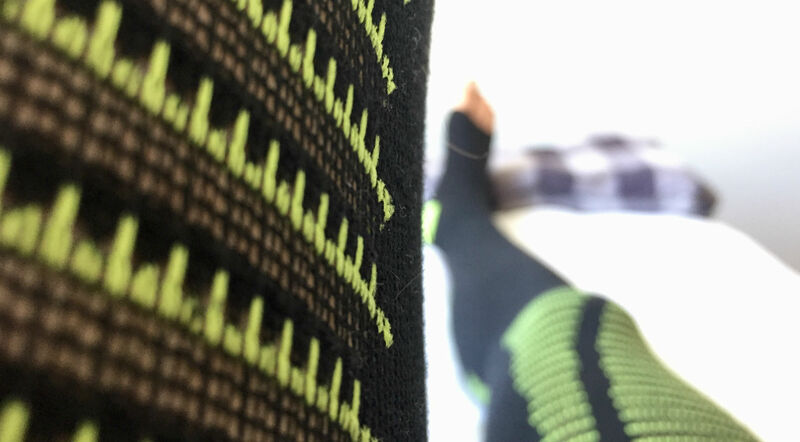 In terms of wearing comfort, X-BIONIC is always far in front. The compression was on point in my case. I didn’t feel constricted and could sleep as well as always. However, the cuff at the feet was quite tight and my feet were slightly aching in the mornings. Additionally, even though you’d expect it when feeling the product, I wasn’t overheating in the night. 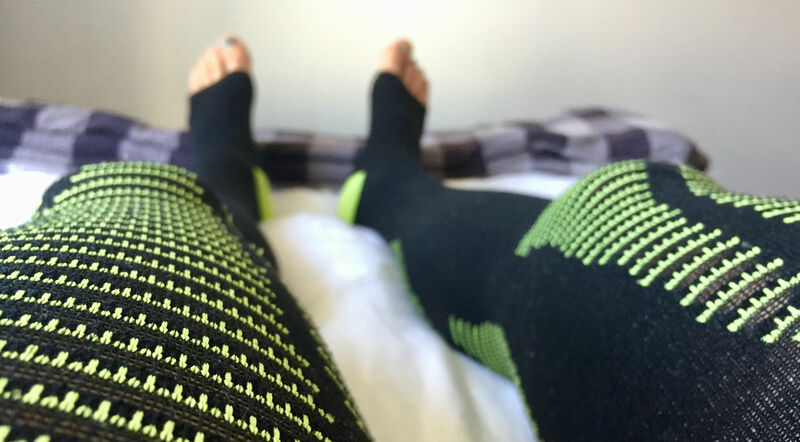 X-BIONIC claims that their patented Partialkompression® has the proven advantages of compression without neglecting the body’s thermoregulation. From my point of view, this product is definitely a valuable addition to my wardrobe! In the future, I’m going to wear it after intense workouts, races and also when travelling, especially on long-distance flights. What's your experience with this piece or similar apparel? Do you believe in recovery apparel at all? Tell us in the comments.